Crowhurst, a weekend sailor, designed and built a radio direction finder called the Navicator, a handheld device that allowed the user to take bearings on marine and aviation radio beacons. While he did have some success selling his navigational equipment, his business began to fail. In an effort to gain publicity, he started trying to gain sponsors to enter the Sunday Times Golden Globe Race. His main sponsor was English entrepreneur Stanley Best, who had invested heavily in Crowhurst’s failing business. Once committed to the race, Crowhurst mortgaged both his business and home against Best’s continued financial support, placing himself in a grave financial situation. The boat Crowhurst built for the trip, Teignmouth Electron, was a 40-foot trimaran designed by Californian Arthur Piver. At the time, this was an unproven type of sailing boat for a voyage of such length. Trimarans have the potential to sail much more quickly than monohulled sailboats, but early designs in particular could be very slow if overloaded, and had considerable difficulty sailing close to the wind. Trimarans are popular with many sailors for their stability; however, if capsized (for example by a rogue wave), they are virtually impossible to right, in contrast to monohulls, and this would typically be a fatal disaster for the boat’s crew. To improve the safety of the boat, Crowhurst had planned to add an inflatable buoyancy bag on the top of the mast to prevent capsizing; the bag would be activated by water sensors on the hull designed to detect an impending capsize. This innovation would hold the boat horizontal, and a clever arrangement of pumps would allow him to flood the uppermost outer hull, which would (in conjunction with wave action) pull the boat upright. His scheme was to prove these devices by sailing round the world with them, then go into business manufacturing the system. However, Crowhurst had a very short time in which to build and equip his boat while securing financing and sponsors for the race. In the end, all of his safety devices were left uncompleted; he planned to complete them while underway. Also, many of his spares and supplies were left behind in the confusion of the final preparations. 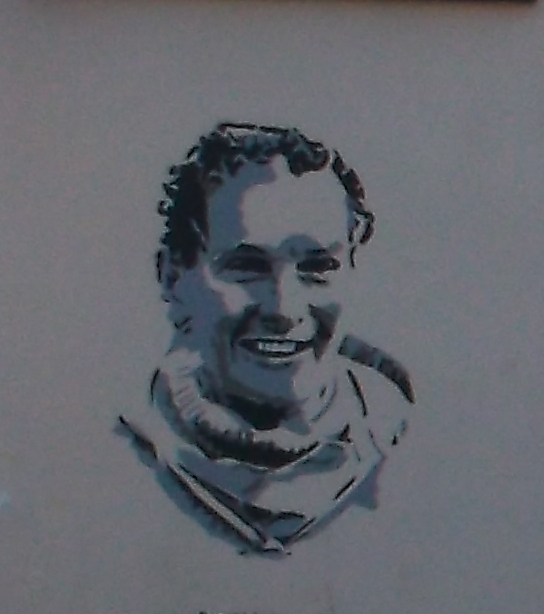 On top of it all, Crowhurst had never sailed on a trimaran before taking delivery of his boat several weeks before the beginning of the race. Crowhurst left from Teignmouth on the last day permitted by the rules – 31 October 1968. He encountered immediate problems with his boat, his equipment, and his lack of open-ocean sailing skills and experience. In the first few weeks he was making less than half of his planned speed. He did not have the skill to sail the complex tri-hulled boat at anything near its optimum speed while navigating a good course. According to his logs, he gave himself only 50/50 odds of surviving the trip, assuming that he was able to complete some of the boat’s safety features before reaching the dangerous Southern Ocean. 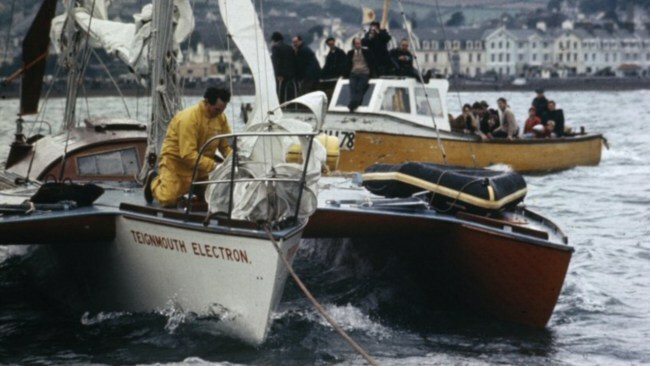 Crowhurst was thus faced with the choice of either quitting the race and facing financial ruin and humiliation or continuing to an almost certain death in his unseaworthy, disappointing boat. Over the course of November and December 1968, the hopelessness of his situation pushed him into an elaborate deception. He shut down his radio with a plan to loiter in the South Atlantic for several months (while the other boats sailed the Southern Ocean), falsify his navigation logs, then slip back in for the return leg to England. As last-place finisher, he assumed his false logs would not receive the scrutiny of the winner’s. Since leaving, Crowhurst had been deliberately ambiguous in his radio reports of his location. Starting on 6 December 1968, he continued reporting vague but false positions and possibly fabricating a log book; rather than continuing to the Southern Ocean, he sailed erratically in the southern Atlantic. A great deal of the voyage was spent in radio silence, while his supposed position was inferred by extrapolation based on his earlier reports. By early December, based on his false reports, he was being cheered worldwide as the likely winner of the race, though Francis Chichester publicly expressed doubts about the plausibility of Crowhurst’s progress. Crowhurst’s behaviour as recorded in his logs indicates a complex and conflicted psychological state. His commitment to fabricating the voyage reports seems incomplete and self-defeating, as he reported unrealistically fast progress that was sure to arouse suspicion. By contrast, he spent many hours meticulously constructing false log entries, often more difficult to complete than real entries due to the celestial navigation research required. The last several weeks of his log entries, once he was facing the real possibility of winning the prize, showed increasing irrationality. In the end, his writings during the voyage – poems, quotations, real and false log entries, and random thoughts – amounted to more than 25,000 words. The log books include an attempt to construct a philosophical reinterpretation of the human condition that would provide an escape from his impossible situation. His last log entry was on 1 July 1969; it is assumed that he then jumped overboard and drowned. Teignmouth Electron was found adrift and abandoned on 10 July 1969 by the RMV Picardy (latitude 33 degrees 11 minutes North and longitude 40 degrees 26 minutes West). News of Crowhurst’s disappearance led to an air and sea search in the vicinity of the boat and its last estimated course. Examination of his recovered logbooks and papers revealed the attempt at deception, his mental breakdown and eventual suicide. This was reported in the press at the end of July, creating a media sensation. Teignmouth Electron was later taken to Jamaica and was sold multiple times, most recently in 2007, to American artist Michael Jones McKean. 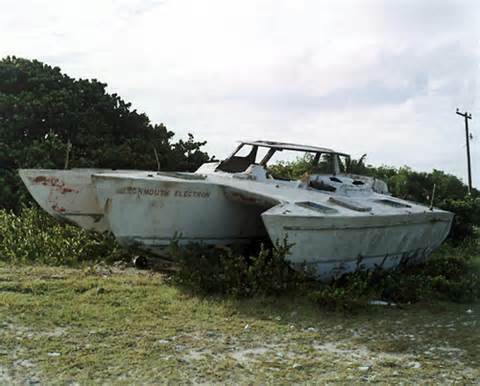 The boat still lies decaying on the southwest shore of Cayman Brac.